For many hospitals, a continuous supply of good-quality electrical power can be, quite literally, a matter of life and death. 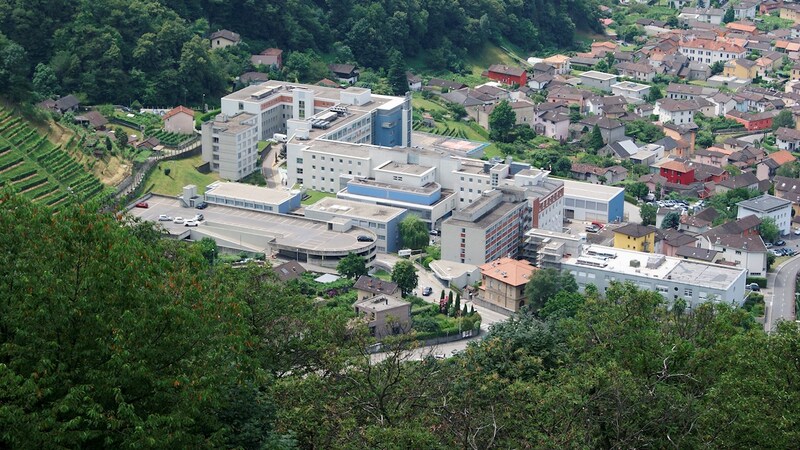 The Regional Hospital of Bellinzona and Valleys is no exception. Located in the capital of the Canton of Ticino, the hospital is a key element of a health network, formed by the Regional Hospital of Bellinzona and the hospitals of Faido and Acquarossa, which was established in 2000. The Regional Hospital of Bellinzona and Valleys is a multi-specialist public hospital with modern infrastructure and state-of-the-art medical technology that provides the district of Bellinzona and surrounding valleys with basic healthcare as well as specialized services. The power supply for the hospital has been secured in the past through a combination of ABB uninterruptible power supplies (UPSs): a DPA UPScale ST 80 (3 x 20 kW) for administration and pediatric surgeries; a DPA UPScale ST 80 (4 x 20 kW) for the laboratory analysis center and helicopter landing strip lighting; and a PowerWave PW 33 160 kW for operating theaters, intensive care, emergency room, endoscopy, telephone systems and delivery rooms. While this UPS constellation provided an adequate power backup system, the hospital authorities wanted to move away from a centralized to a decentralized UPS concept and exploit the many advantages that a modern modular UPS brings. As a long-standing reliable partner that provided 24/7/365 support, the hospital therefore turned to ABB for their new USP. ABB has a strong local presence and could provide the cutting-edge UPS technology and preventive maintenance contracts the customer needed. ABB also has local production facilities for UPS in Quartino and Riazzino. ABB specified, installed and commissioned a DPA UPScale ST UPS for the hospital. This modular UPS provides 300 KW of electrical power and is simple and cost-effective to run and maintain. The UPS’s decentralized parallel architecture (DPA™) means that every UPS module has all the essential functional units needed for independent operation. DPA increases system reliability and availability compared to other modular UPS solutions, as there is inherent redundancy between the UPS modules on all functional levels. DPA is ideal for organizations like the hospital seeking zero downtime and low cost of ownership, because modules can be added or removed, adapting to requirements, even without powering down. Maintenance is easy and there is no need to oversize the original configuration, which reduces initial capital outlay. All these attributes, as well as the UPS’s small footprint, made ABB’s DPA UPScale ST UPS the perfect choice for the hospital.